Cape Coral is a hot place to move! The reasons are seemingly endless. Where do we begin? The great weather? The beautiful views? The breathtaking beaches? The vibrant culture? The impressive parks? The list goes on and on. Whether you’re thinking about making the move to Cape Coral (or another Southwest Florida city) soon or in the near future, you’ll have to think about the moving process, which can be such a pain, and stressful. When it comes to moving, there is so much to think about: packing, unpacking, what to keep, what to get rid of, expenses, and more. Plan. Plan. Plan. – If you plan, and plan ahead, the move will be less overwhelming to you. Last-minute changes won’t be as daunting with everything else in place. Make Checklists – Write up a checklist of all the things you need to do, whether it’s packing, making phone calls or scheduling a moving truck. You can always refer to the list to see how far along you’ve gotten. Take photos – Before moving, take pictures of electronic equipment and furniture that may be tricky to put back together. This way, you can refer to the photos when you need to reconnect the TV or hang up a shelf. Find Ways to Save Money – Instead of buying moving boxes, use bins, boxes, baskets, and bags you already have at home to pack up your items. See if any family or friends will help you move instead of hiring movers. Wrap breakable items in clothing or blankets to save money on bubble wrap. Take Care of Your Pets – Moving isn’t just stressful for you. It’s stressful for pets. See if you can keep your dog/cat at a friend’s house until the move is complete, or you can bring them to a kennel in the meantime to decrease their stress. Also, focus on a plan on how you’re moving your pet. On an airplane? In a crate in a car? Label/Color Code – Label or color code your boxes so you know, which room you need to carry the boxes to, so the moving process goes faster. Hold onto the Essentials – Whether it’s everyday clothing, medications, toiletries, personal items, or important paper work, keep these items close to you and separate from everything else packed away, so you can easily access them during the move. Separate Valuables – Some things we own are just too precious to put in a box and ship away. Keep valuables (passports, deeds, titles, photos, jewelry, etc.) and keep them in a carry-on bag to have by your side whether you move by plane, train, bus, or car. Hire Movers – If you have a big move or a lot of furniture, hiring movers is your best bet. Do some research on different companies and get quotes. Many moving companies carry insurance, so if they break something, they will compensate you. Change Address – Change your address at least 2 weeks prior to moving so you won’t miss any of your mail. Save Receipts – Some workplaces will deduct moving costs for you (if you moved for the job). Thinking of making the move down to Cape Coral or other parts of Southwest Florida? 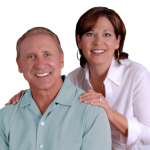 Let us, Tom and Sue, help you find the home of your dreams! To search properties in these areas, contact us here or call at 239-357-6118.